This original design is copyright Laurel Burch. It is deeply etched and precision cut from premium grey rubber on a 1/8" grey rubber foam backing. Use with an acrylic handle, sold separately. 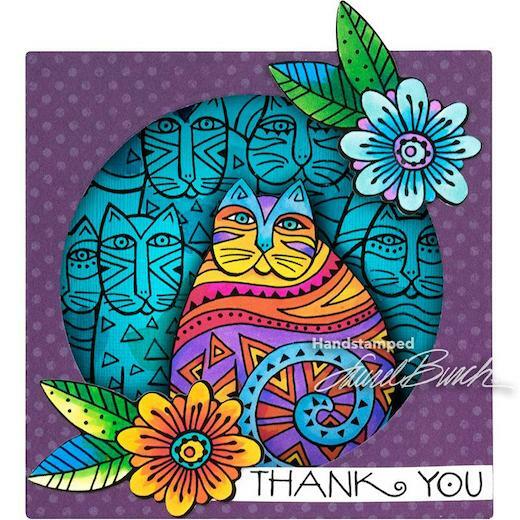 Largest Cat Image measures approximately 3-3/8” x 2-7/8”. Seven Stamps plus FREE Stencil/Mask/Template.